The Jungle Teacher: Register As Pengundi Pos Luar Negara Via Email In Just 5 Minutes! Register As Pengundi Pos Luar Negara Via Email In Just 5 Minutes! I sent in my Permohonan Kertas Undi Pos (Pengundi Pos Luar Negara) a month ago after reading this post on my Facebook feed & was surprised that some Malaysians I spoke to thought that it would be too much trouble to bother. That's ludicrous & asinine (my latest favorite word)! Well, guess how long it took me to finish the application? From printed to filled = 5 minutes. The best part is it didn't require any cumbersome entries or accompanying documents. Don't believe me? Check out the Borang 1B yourself; it's a work of art with easy to understand instructions/explanations. Don't have a stamp? Too lazy to go out in the cold to get one? You can EMAIL the completed form to upup@spr.gov.my or fax to 03-8881 0424/ 0399/ 0394/ 0386/ 0369. Mail goes to Suruhanjaya Pilihan Raya Malaysia, Menara SPR, No.2 Jalan P2T, Presint 2, Pusat Pentadbiran Kerajaan Persekutuan, 62100 Putrajaya, Malaysia. (u.p. Unit Pengurusan Undi Pos Luar Negara). They've made it really easy for us, so no more excuses. You must be already registered as a Pengundi Biasa (Pengundi Tidak Hadir need not apply). You have been in Malaysia or returned to Malaysia for not less than 30 days during the 5 years before the dissolution of Parliament in 2018 (doesn't have to be consecutive; 6 days over 5 years is fine; as long as the total is 30; refer to the immigration date-stamps on your passport). What's next? If SPR approves your application, they will send you a love letter with your ballot via POS Malaysia after nomination day. Once you get your postal votes, make you have it returned to SPR before polling day (you'll have to get a stamp then. Don't be lazy.). After that you can take a selfie with your ballot envelope, post your ballot, & watch the likes pile up. 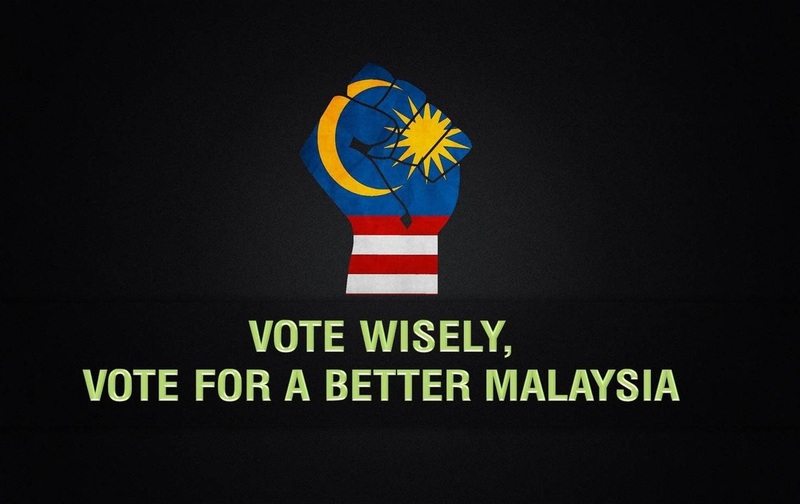 Can Malaysians vote from overseas in 2018? Bersih wants to know too!